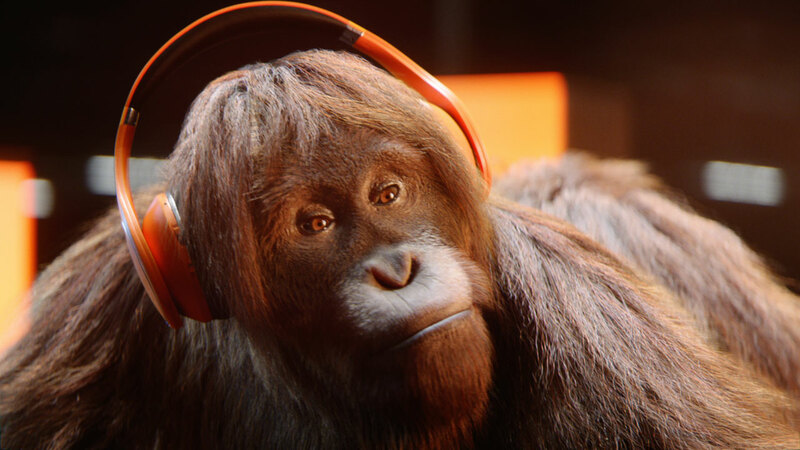 Working closely with Fold7, Mill+ Director Jorge Montiel brought to life this entirely CG spot for Amazon audio and podcast app Audible featuring two photo-real orangutans. The pair sit back-to-back partaking in contrasting phone habits, one engrossed in mindless games swiping and tapping, whilst the other calmly completes a Rubix cube and indulges in an Audible audio-book. The film features a 100% CG environment taking the form of a dim warehouse lit up by luminous rectangle light-boxes. Each creature’s photo-realness was referenced from extensive real-life photography and videos in order to perfect each character’s skeletal and muscular systems. 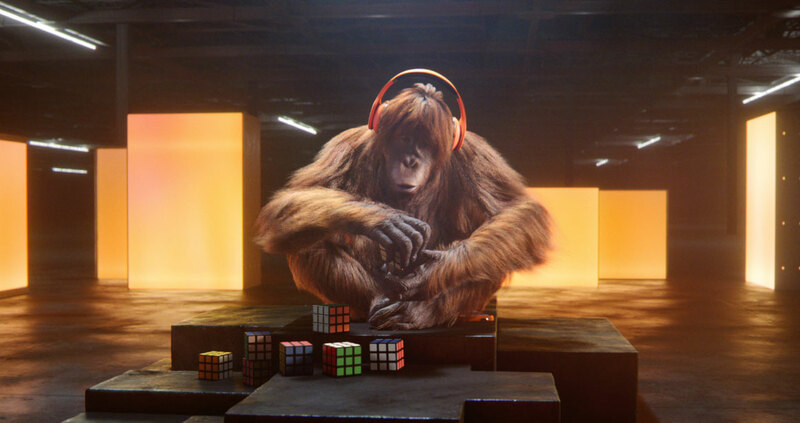 Extensive modeling and calculated rigging ensured life-like orangutan movements and mannerisms. 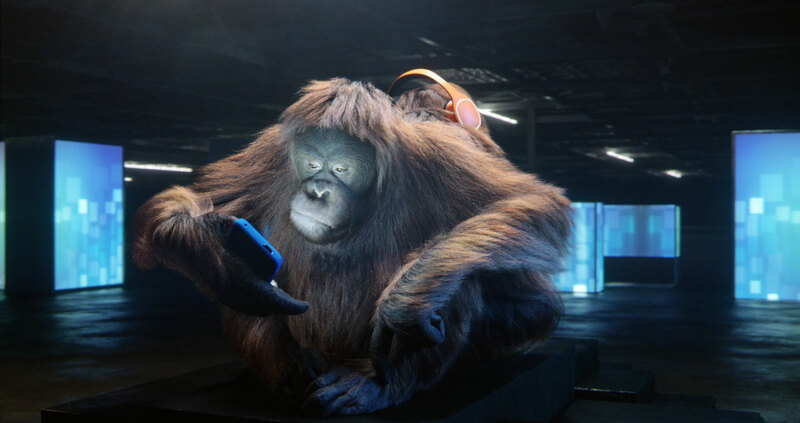 Small details like facial texture and fur groom were all taken into consideration ensuring that the orangutans looked as true to the species as possible. 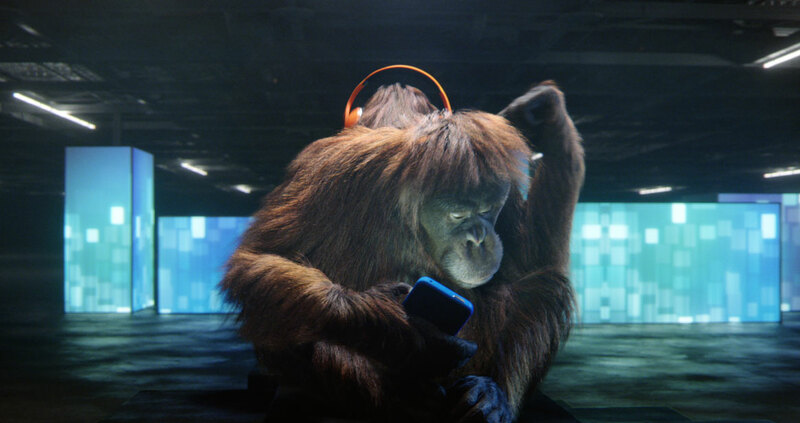 The hero orangutan’s audio-book interactions were achieved by exaggerating human emotion, with just the right amount to ensure the emotions remain clear but realistic. 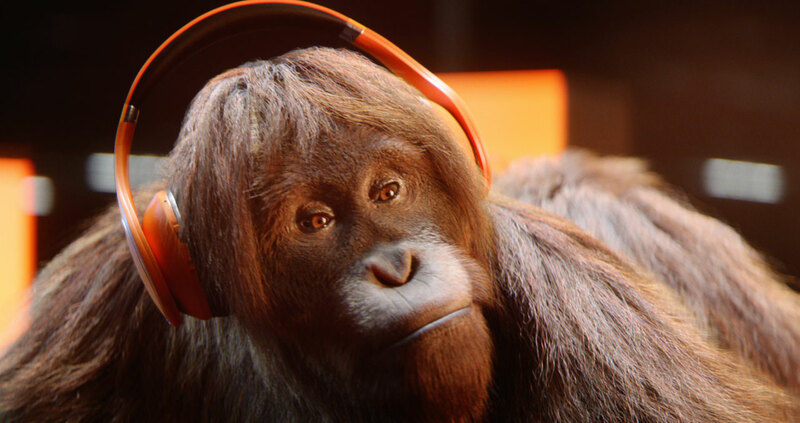 As the audio description reads through, the hero orangutan’s facial expressions react from looking in wonder, being pensive to feelings of content. Mill+ Director Jorge Montiel explains ‘This is about taking the viewer on a mixed journey between mindfulness and anxiety, two states that we, as humans, experience in modern life. 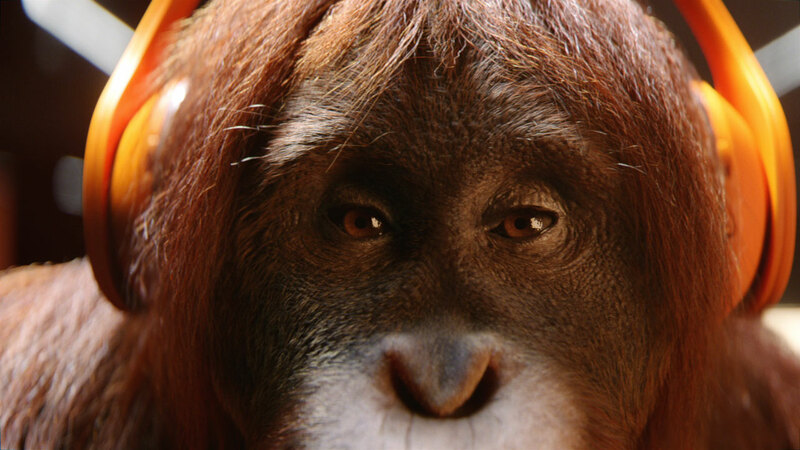 The orangutan’s represent two sides of our personalities: mindfulness and mindlessness. 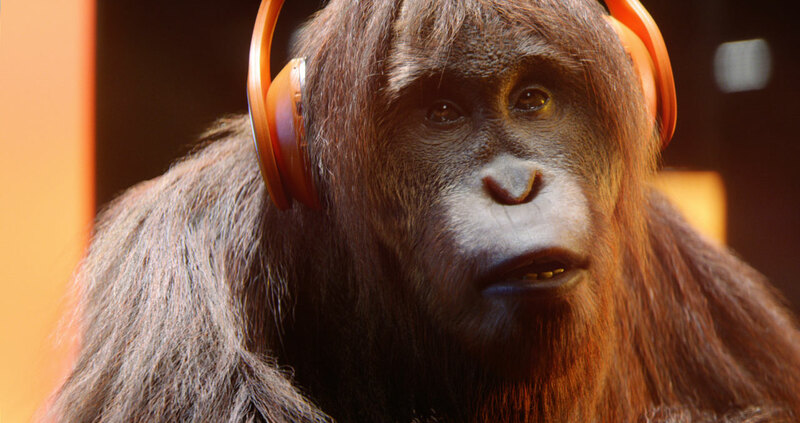 Acting and credibility in the two orangutan’s emotions are key elements in depicting the change and contrast in moods. Audible is a technological brand, and this was a great opportunity to establish the idea of smart tech/creative tech. The installation was design to enhance the message by allowing the audience to visually connect sensations with each mood, without interfering with the characters’.